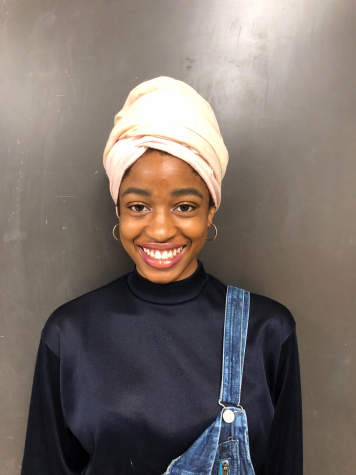 Christine Mbagwu, a senior at Eleanor Roosevelt High School recently joined the journalism class at the beginning of the 2018 school year. For her, journalism offers a wide variety of opportunities that she is passionate about: family, ethical production and consumption, democracy, journalism literacy, and the representation and influence of minorities in journalism. She enjoys using journalism as a way of sharing, learning, and growing with her peers. She hopes to capture and relay the voices, concerns, and feelings of the individuals around her. Although she isn’t majoring in journalism, she hopes to apply the skills and experience she gains while writing for the Raider Review to her other interests such as business and entrepreneurship. Outside of journalism, she is a member of the National Honor Society and a PGCPS student member of Board advisory council. Her hobbies include reading, poetry, and watching psychological thrillers.